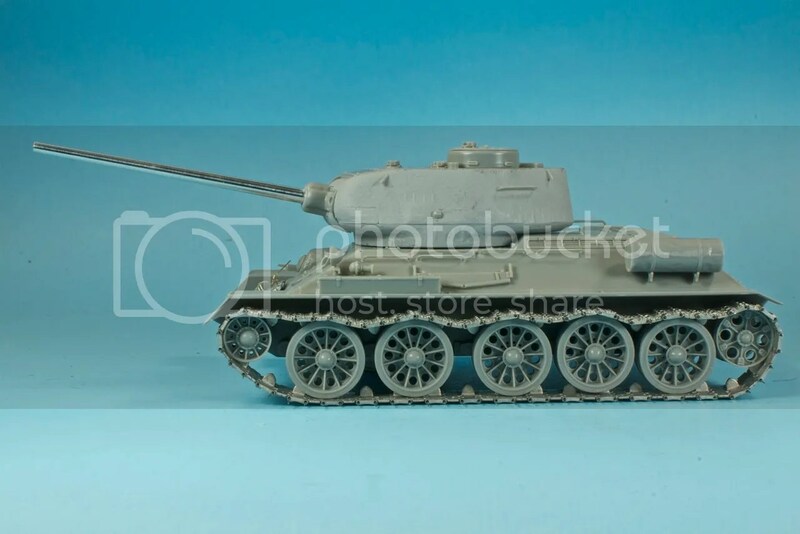 I’ve already written about the T-34 and my initial impressions of the Dragon kit, so I figure I may as well jump straight to the meat of things. One thing about building a stupid amount of armor back-to-back-to-back – it definitely gives you a better sense of the differences between kits. Without the separation of paint and markings and weathering, there’s just not the time to get nostalgic about a build. And so building Dragon’s T-34/85 in such a situation, I was struck by how…average it is. It’s not a bad kit. There are no major obstacles. Nothing that makes you want to hurl it against the wall. In short – nothing like the transmission housing/drive sprocket cups on the Cyber-Hobby M4A4. The worst I came up against was a gap at the rear where the upper and lower hull met. But that was solved with a small piece of strip styrene. On the other hand…the T-34 didn’t do a thing to win me over, either. Literally the only flash of awesome I got out of the entire build was beholding it with the Friul runs fitted in place. 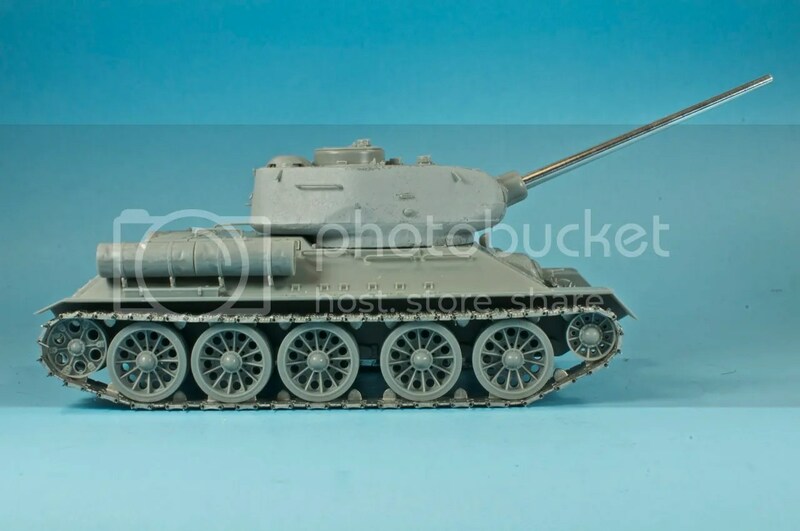 What the T-34 did have was annoyances. Little things. 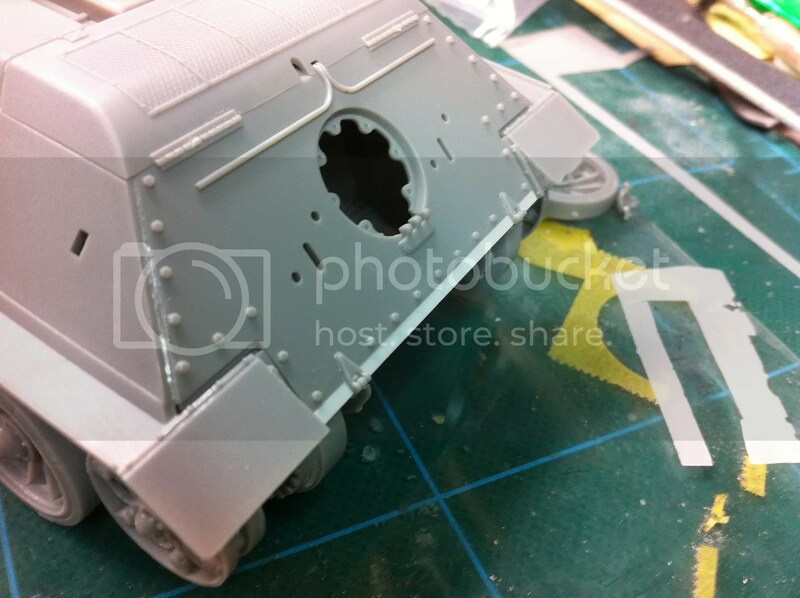 Nothing that’s a kit-killer, but stuff like…placing the sprue gates on the outward-facing surfaces of small parts. Or on the inside of grab handles, where they are extra-super-frustrating to sand down. One small annoyance with the kit was the lack of a link count for the track runs. Not that guestimating is a huge problem with friul tracks, but still, it’s another little thing that, when combined, convey a sense of sloppiness. After trying an initial run of 76, which was just laughably loose, I cut the links back to 72. Still loose. But not as bad. But still too loose for what I wanted. Way too much coming off the idler and drive wheels. So I went back and removed to more links. 70 is tight. It’s not as saggy as I’d like. But T-34/85s – at least the ones I’ve seen in the archival photos – don’t exhibit crazy track sag the way the earlier T-34/76s do. Perhaps the improving late-war situation left more time for things like maintenance. Next time – if there is a next time – I will be sure to try to leave the front idler mounts loose. This will probably be difficult, since they sit very loose in their housings and probably wouldn’t take placing the friuls without falling off. Worse comes to worse, gluing them facing straight down rather than canted slightly forward would introduce some slack in 70-link runs. 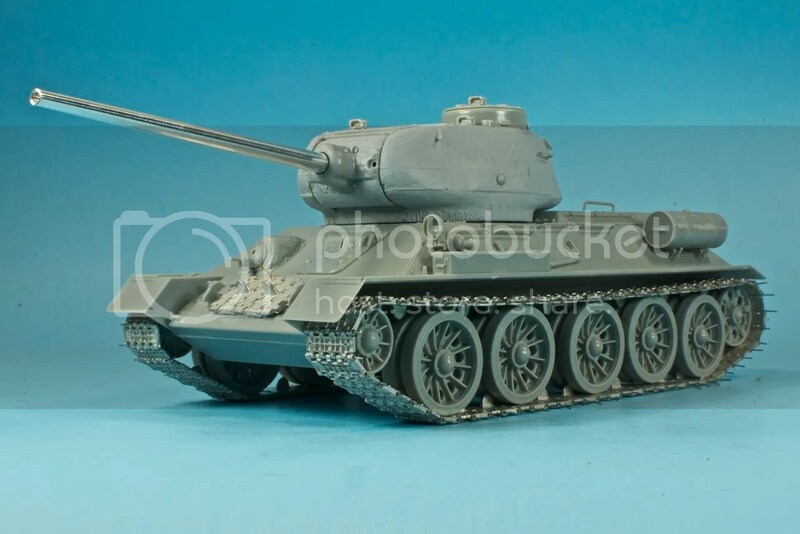 As I’ve said, the Dragon T-34/85 is one extremely decent kit. Remember back in the 90s, when NBC ruled Thursday nights? The T-34 reminds me of Mad About You. Not awful, but it sure wasn’t Seinfeld or Friends, either. One thing I will say about this T-34, though. It’s piqued my desire to give the full-interior, articulated suspension AFV Club kit a go. Next Post How Would You Improve Doogs’ Models?